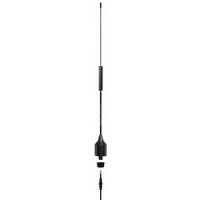 Am-fm stereo antenna-black Description: 13" Black top/side mount.. 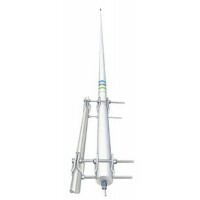 Available in either a top or side mount, or combination of both, this antenna features a flexible 16..
Am/fm 6' wire antenna Length: 6'..
Antenna mounts easily using adhesive foam strips and works great in marine applications. Includes 7 ..
16 1/2". 180 deg. swivel base. 54" cable. Color: White..
16 1/2". 180 deg. swivel base. 54" cable. Color: Black..
Amplified under dash mount ant.. Constructed of high quality fiberglass. 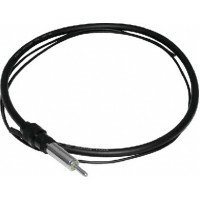 This 6 dB gain comes complete with 14' 9" nominal RG58U cabl..
Tapered stainless steel whip with rubber safety. Sealed internal copper element with a molded reinfo.. Whip antenna with conductors running full-length (no loading coil). Reinforced insulating qualities ..
3dB center-fed 1/2 wave coaxial sleeve. Designed to reduce signal fading in rough seas. This is prob.. Phased 1/2 wave elements in a collinear array with coaxial choking sleeve to suppress cable radiatio..
Continuous-load, end-fed 1/2 wave. Great for bass boats where fishing over a 3' antenna is more desi..
Center-fed 1/2 wave coaxial sleeve. 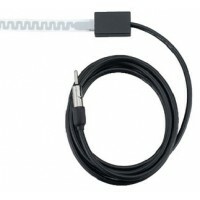 A great basic 3dB antenna for day-to-day cruising in calm to mod.. 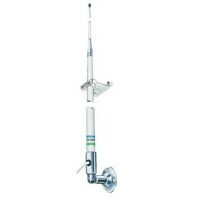 This popular Loran C antenna is recommended by virtually all Loran manufacturers. Chrome-plated bras.. 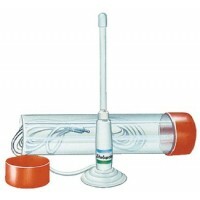 Lets you put an antenna on your boat where it won't get in the way. It is a clear tape with embedded.. Phased 1/2-wave elements in a collinear array with a broadband matching section, and a coaxial choki.. Phased 1/2 wave elements in a collinear array with choking sleeve to suppress cable radiation. 9dB g..
End-fed with matching stub. 6dB gain. 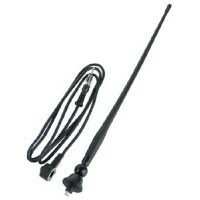 This antenna delivers not only performance, but superb value. ..
Collinear phased 5/8 wave. 6dB gain. High-gloss, polyurethane finish that won't turn yellow in the s..
Collinear phased 5/8 wave. 6dB gain. 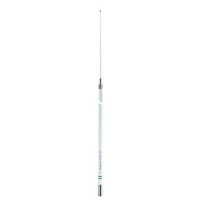 A favorite of maritime professionals, this rugged antenna boast..
An enhanced version of the famous 5225-XT, the 5225-XP features silver-plated element for extended p..
Collinear-phased 5/8 wave elements. 6dB gain. 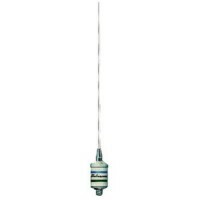 The 5225XT is Shakespeare's classic 5225 in a new, str..
5/8 Wave over 1/2 wave dipole. 8dB gain. 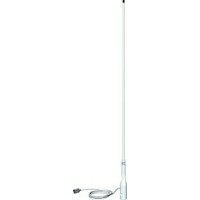 The ultra-performer, the most effective 8dB antenna system ..
Entertainment band. 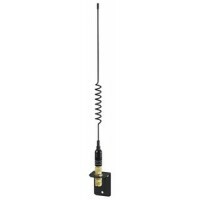 This antenna reaches out to pick up those AM/FM signals from afar. Copper elemen..
Collinear phased 5/8 wave with two coaxial chokes to suppress cable radiation. 6dB gain. 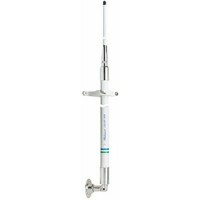 This profes..
An enhanced version of the famous 5400-XT, the 5400-XP features a silver-plated element for extended..
Center-fed 1/2 wave coaxial sleeve. 3dB gain. Heavy-duty construction for general purpose communicat..
Entertainment band. Its sturdy construction and outstanding performance make it an excellent choice .. Emergency VHF flex antenna, loaded 1/4 wave whip. 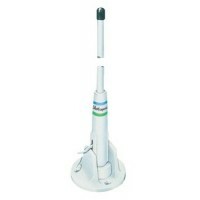 Comes packed in a 12" weather resistant plastic tu.. 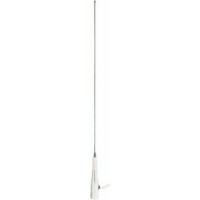 This light-weight, black VHF Marine antenna is specially built for sailboat racers. Its 15" center-l.. Features Shakespeare's exclusive distributive load for super signal pulling power. The coil is perma..
Cable kit 35ft rg58 f/sra12-30 Description: 35' RG-58 Cable Kit..
Cable kit 50ft rg58 f/sra30 Description: Cable Kit 50' F/SRA30.. 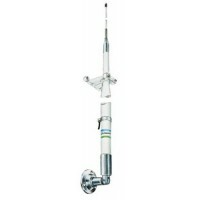 This small, unity gain, stainless steel VHF marine whip antenna features a magnetic mount for fast a..
3 Db Gain VHF antenna. Center-fed 1/2 wave coaxial sleeve. It's great for hard tops, T-tops and othe..
End-fed with matching stub. 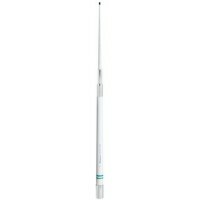 An economical and lightweight, self-supporting antenna for good communic.. 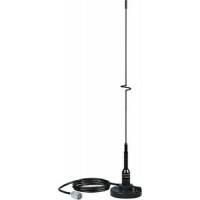 Eliminates the need for a separate AM/FM antenna and operates AM/FM and VHF radios at the same time ..
Emergancy stowable vhf antenna Length: 16" Assembled..
2' 3db blk low proe s/s ant Length: 2'.. Features high performance, durable construction, and a beautiful finish. Ferrules are mirror-finishe..
End-fed 1/2 wave. 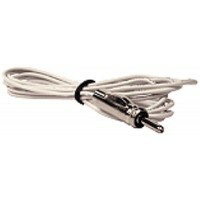 The perfect choice for bassboats, center consoles, or any vessel where compact siz.. 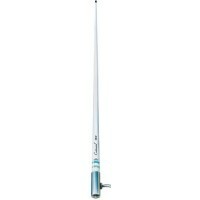 Ocean twin 23' vhf marine ante Length: 23'..
End-fed 1/2 wave. A favorite with sailboat owners, this light weight, low profile, stainless steel a..